What were you doing and where were you at the moment of 311 Earthquake occurred? We shared our experiences with our listeners. Especially I (Tokuhashi) revealed what I was doing, what I felt and how people who were with me at at that time were for the first time. Hit the play button above and listen to our stories. 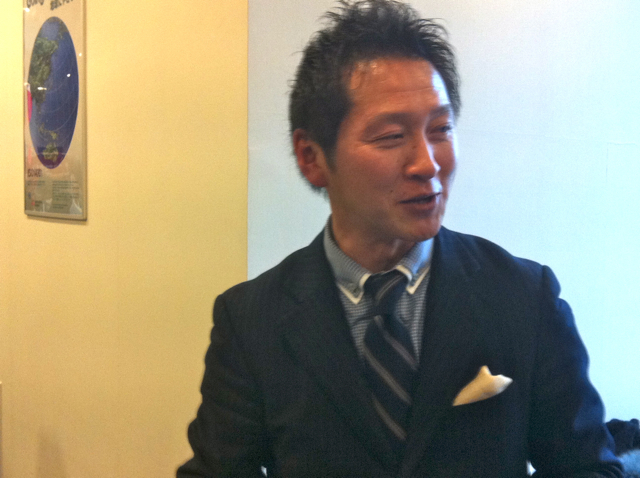 Then we brought you the interview with Ken-ichi Watanabe, representative of “Genki Japan” again tonight. We heard from him about “how he’s been engaged in the reconstruction effort in the devastated areas”. Watanabe said, “In Kesennuma, new industries other than tourism has been created. The disaster led people to think of rejuvenating Japan or their societies and they started to put them in action”. I (Tokuhashi) have been thinking that I also should do something for the quake hit areas for a year. We My Eyes Tokyo have brought you the voices of foreigners who faced the earthquake or who went to the areas in order to give support to the victims. But I still think that I should go to the areas, look at the areas through my eyes and hear from affected people. I’ll go to Tohoku this year.